I just have so much stuff to learn that I can't freakin' do anything for myself these days. Now it's weekend, so today I'm taking a break. And that's why i finally have some time to read blogs and post a picture! 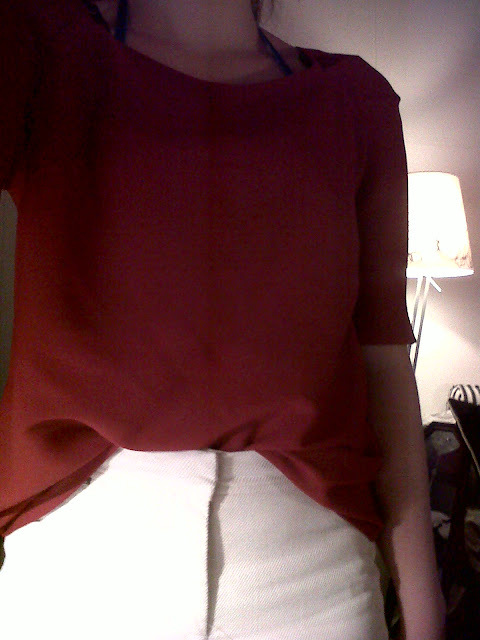 High waisted pants and a burgundy shirt is a really good effortless way to look good. Hope you had some time for yourself. cute top!check out my blog with my favorite trends of this season! follow me if you like it!